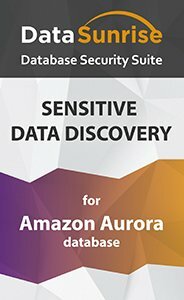 Data discovery tool for Amazon Aurora mitigates the risk of confidential data exposure by scanning the database and detecting sensitive information. Identify the sources of sensitive data on Amazon Aurora database and apply security, audit or masking rules for detected sensitive and regulated data. Sensitive data discovery tool for Aurora databases is a helpful solution that mitigates the risks of confidential data exposure. Sensitive data discovery tools assist in detection of data regulated by GDPR, SOX, HIPAA, PCI DSS. The search is performed across the column names and column contents using the algorithm that detects matches with regular expression patterns. The patterns are scalable. Hence, you can search for any kind of specific data and mitigate the risk of sensitive data leaks. After getting the results of the search, you can easily use detected columns in security, audit or masking rules. Add a security rule to restrict access to sensitive data. Add an audit rule to constantly monitor the operations with the data from selected columns. Add a masking rule to obfuscate or mask confidential information.